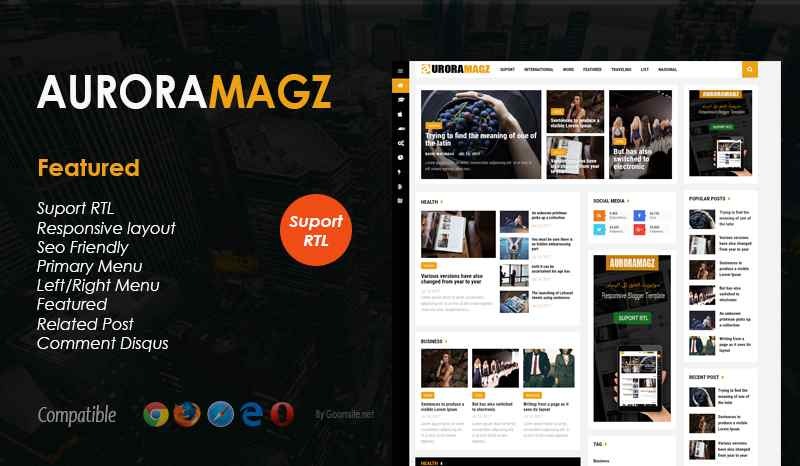 Auroragmagz is my first template that supports RTL, besides this RTL support template is also compatible with some browsers, such as Mozilla, Chrome. Edge, Internet Explorer, and Opera. Auroragmagz is perfect for sites that Disqus news, magazine or blog. Besides that also already available some slots for your provider advertise. This template is different from other template magazines because besides the super modern appearance of Loading it anyway pretty fast.